Chelsea and Tottenham meet on Thursday at 19:45 on Stamford Bridge in the second leg of the League Cup semi-final. In the first duel, the Spurs won 1-0 with a controversial goal from Harry Kane. The blues are thus at a disadvantage, having to win this second round of the derby to reach the final of the third round of the English calendar. 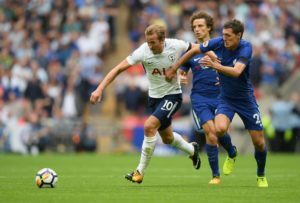 Over the weekend, Chelsea lost another derby against Arsenal to the Premier League by 2-0, getting farther from the top of the table – it is 13 points behind leaders Liverpool – while Tottenham won in the stronghold of Fulham, curiously in another one of the derbis of the capital, by 1-2. Pochettino’s side still look to the title fight, following nine points from Liverpool and five from Manchester City, and will now try to secure their presence in the League Cup final. Who will move on? In the last five games of Chelsea there were less than 3.5 goals. In the last five Tottenham games there were less than 3.5 goals. In the first leg match there was only one goal. The blues have conceded only goals in three of the last ten home games. We expect a Tottenham manager to manage the game and the advantage gained in the first leg and a Chelsea with more initiative. We believe, however, that this derby will have less than 3.5 goals.